And I'd like to welcome you to my home. Cape Town has given my husband and me the most beautiful environment to celebrate the good things in life. We've safely raised a bright and happy family, built a precious circle of fabulous friends, kept ourselves fit by jogging and riding on the mountain, and indulged ourselves in some of the best restaurants on the planet! I'm a coach and Guy is a family doctor. When we travel, which we try to do as often as we can, we like staying in apartments that allow us to experience the unique essence of the place we're visiting. The very best are those that are charming and comfortable too. 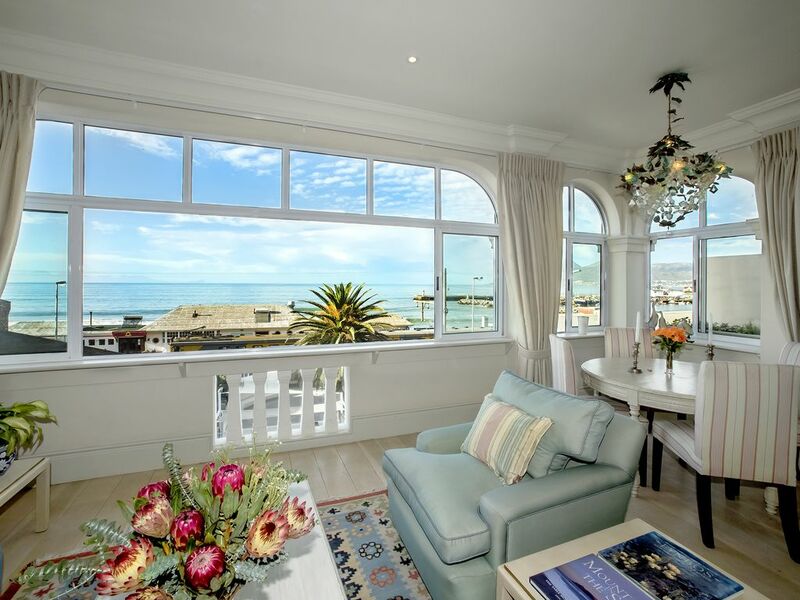 Whalehaven Kalk Bay will offer you all that and more. Kalk Bay (Afrikaans: Kalkbaai) is a fishing village on the coast of False Bay, South Africa and is now a suburb of greater Cape Town. The views of the bay and harbour in front and the mountains behind are stunning. Covered, wonderful view of the mountain behind Kalk Bay. With a barbecue and outdoor furniture.